Puerto Rico – June 23, 2016 – World Technology Corporation in supply partnership with Applied Energy Technologies (AET), today announced the production, delivery, and completion of a 5 MW solar installation project with Rosendin Construction Puerto Rico, LLC in Juncos, Puerto Rico. 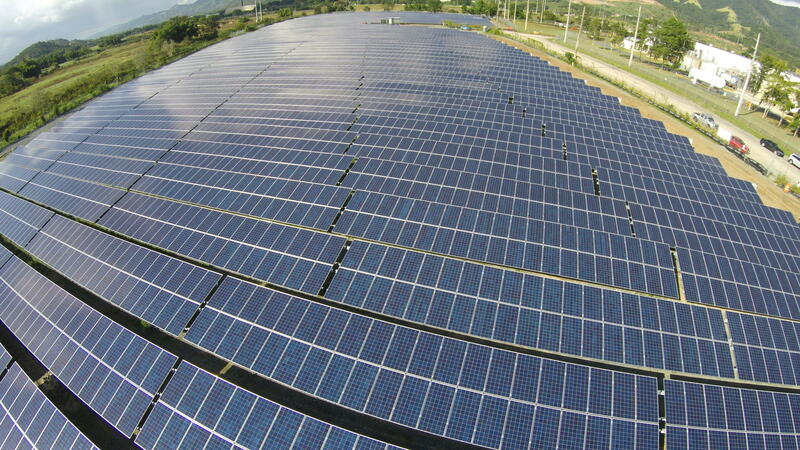 The modules installed for the project are Hanwha Q Cells 300W. The project will bring power to a Medtronic Pharmaceuticals facility. For this particular project, AET’s engineering team had to account for 145 miles per hour wind load, a higher than average wind load for solar systems. With AET’s Rayport™-G ECO wind tunnel test, they were able to optimize the posts of the system to save on cost, while upholding quality system engineering for the project. The system features a 2-high portrait design optimized for maximum panels and load tilt angle of 10 degrees. AET’s Rayport™ ECO product portfolio includes both rooftop and ground mount racking solutions made of fully galvanized steel. Customers are able to save money and installation time with AET’s ECO line of lightweight and high quality solar mounting solutions. Applied Energy Technologies (AET), a leading provider of world-class solar mounting solutions, delivers top quality engineering, manufacturing and installation (EMI) services for bankable utility and commercial-scale solar projects. With an impeccable track record of more than 300 MW in completed projects, 100% on time delivery, 100% on budget, and zero warranty claims, AET meets the highest standards in product manufacturing, design and engineering, and installation required by some of the solar industry’s foremost leaders. AET has more than 30 years of product development and engineering experience, and creates mounting solutions that stand up to harsh environmental conditions, meet tough budget constraints, and are fast and easy to install.